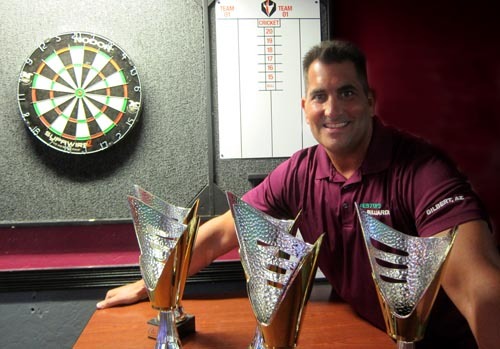 Jester’s own Chuck Puleo will be traveling to London in December for the William Hill World Darts Championship at the Alexandra Palace! The William Hill World Darts Championship will be held from December 13-January 1 at Alexandra Palace in London. Chuck completed the year as the top-ranked American player following his win at Event Ten, as he held off Darin Young to secure his Alexandra Palace place. He and Jim Long have secured William Hill World Darts Championship debuts from the Championship Darts Corporation circuit. 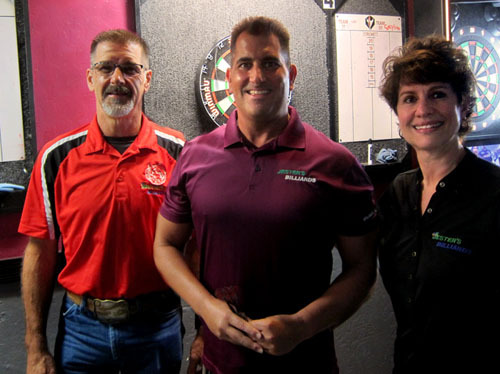 Chuck and Jim Long will join Canada’s Jeff Smith, the North American Championship winner last month, in representing North America at the World Championship in December. 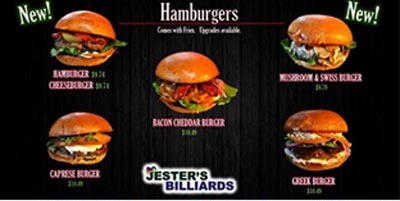 Jester’s Billiards is proud to be sponsoring Chuck Puleo, so we invited Chuck to sit down (with Daryl and Kenda) and talk about his experience and his thoughts heading into the World Darts Championship. “At this level, it’s all about the mind,” says Chuck, about championship competition. The 2019 William Hill World Darts Championship is the 26th World Championship organised by the Professional Darts Corporation since it separated from the British Darts Organisation. The event will take place at Alexandra Palace in London from 13 December 2018–1 January 2019.